Summer means fruit! 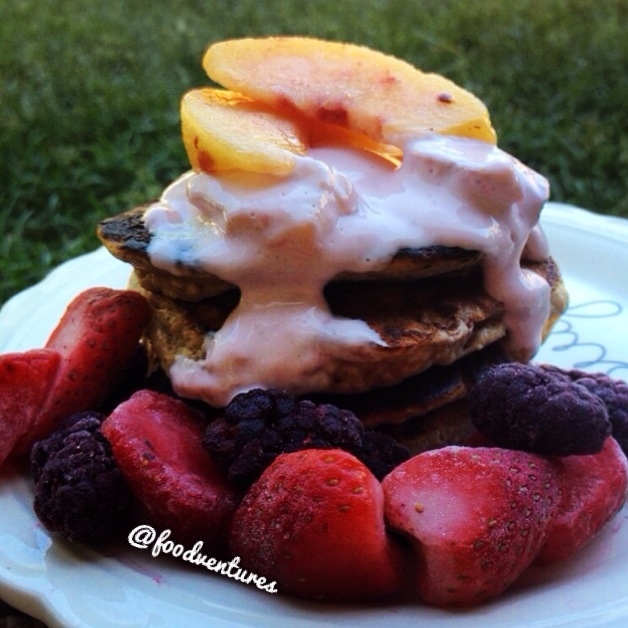 These are oat pancakes infused with peaches and strawberries then topped with a peach and strawberry cream! Combine ingredients in a blender to make your oat pancakes and cook on a skillet. Once done, set aside to let cool. Microwave your peaches and strawberries until soft and add to your Greek yogurt. Wait until the fruit is cool otherwise the heat will kill the probiotics in your yogurt. Layer your pancakes with your toppings. Enjoy.